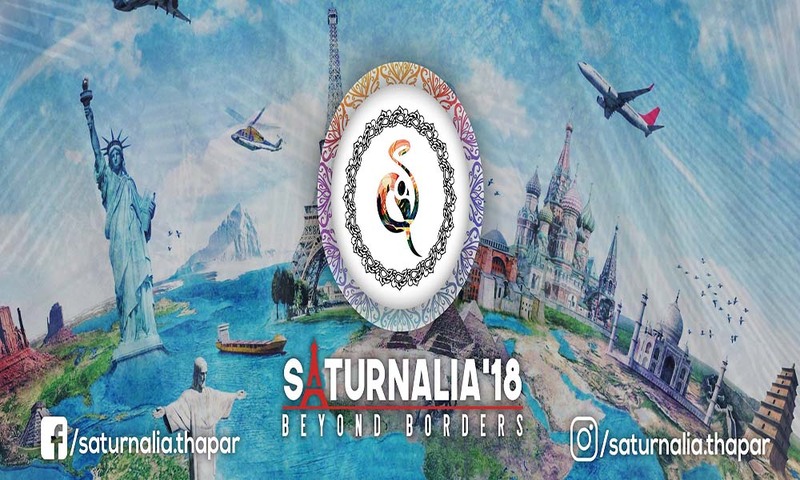 Saturnalia'18 - Techno Cultural Fest of North India will be conducted from 16th November to 18th November 2018. Thapar Institute of Engineering & Technology, Patiala will be conduct a Largest Techno-Cultural Fest of North India SATURNALIA. This Extravagant fest is a Perfect blend of Events, Competitions, Workshops, Guest Lectures and Star Night spanning over a period of 4 Months along with 3 major Fest days Scheduled from 16-18 November 2018. This Year Saturnalia will be based on the Theme "THE GLOBAL ODYSSEY" which will give a much better quality to the fest with the help of International Involvement. For more information contact on 7508778387.